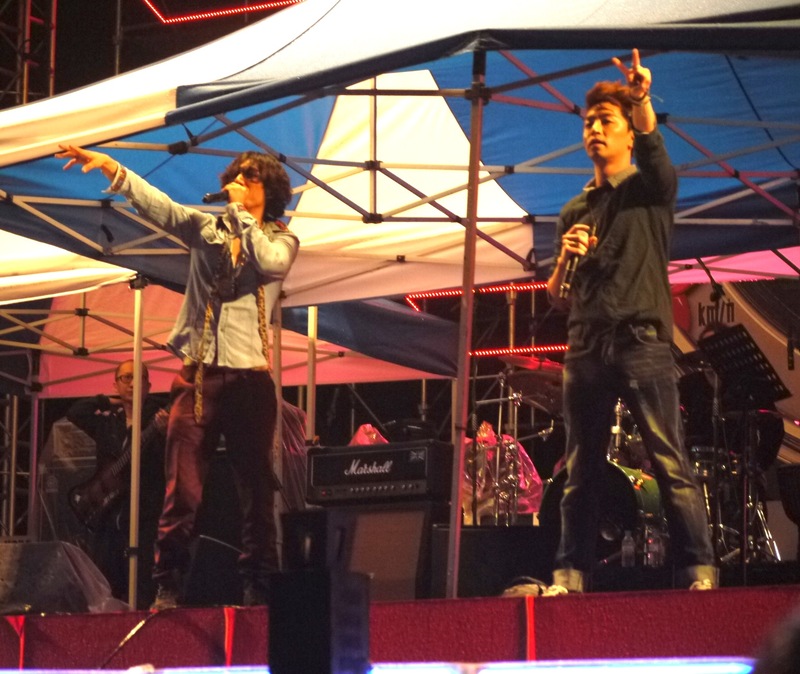 09/28/13 ChunCheon City, South Korea – Two weeks after the release of The Cure, Drunken Tiger, Yoon MiRae, and Bizzy held their first “public” performance (The first official performance was the Google concert on the release date, but was not fully “public”). Catering to quiet crowd in pouring rain, the trio did a full hour set including a mixture of songs from old and new albums. Major highlights included JK distributing multiple copies of his new album the crowd and the public debut of their band, The Feel Ghood Band. Hey, if you’re dedicated enough to stand in the rain for a concert, you might as well get something free!